For Christian authors, we're offering a chance to be connected to new readers. 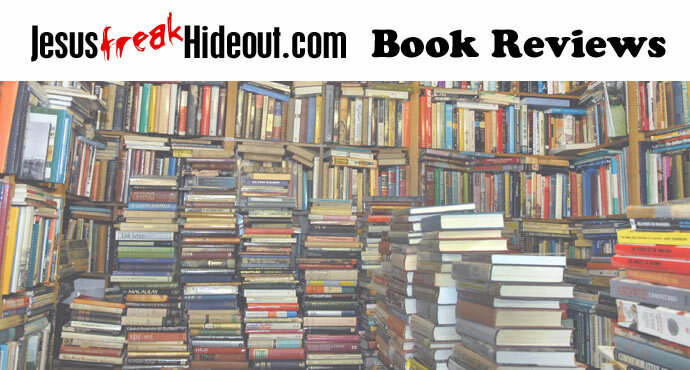 With a book review on Jesusfreakhideout.com, we will give an honest and fair critique of your work as well as lasting exposure on the world wide web. Our book review service guarantees your book will be read, a non-rated (AKA not a star rating) critical review, a link to your website or community page (i.e. Facebook, Twitter, etc), your review archived for continuous exposure and reference, and widespread exposure through the esteemed JFH readership. A short 7 to 10 question interview conducted by the JFH staff to be included with your review (interview would be conducted via email)! "How do I send you the book?" - After we accept your book for review and you've submitted the Review Submission fee, we will email you an address to mail the book to. If you can only submit the book digitally, please let us know before submitting payment so that the reviewer is okay with a digital copy instead of a paperback or hardcover book. "After I sign up, how long is the turnaround?" - Upon receiving your book Review Submission fee and book, we will have your review for you within 50 days of us receiving the book in-hand for review. Please note: It is your responsibility to send the book to us. If you do not send us the book and later decide you would like a refund of the submission fee, we can provide a full refund up until 60 days after the receipt of payment. If you request a refund after 60 days, Paypal keeps their service fee and we will only refund the difference. "What else do I need to know?" - Once we receive your book submission, the submission fee is not refundable. We do not guarantee positive reviews for every submission. We are offering honest, fair critiques of your work, which is a great way to garner crictical feedback while getting your name published on a reliable media source. If you are unhappy with the review we give you, you may request that the review be taken down, but we will not be able to refund your submission fee. Jesusfreakhideout.com also reserves the right to alter the submission fee or signup terms at any time (but not will not be altered for you after you've signed up under these terms). "Sounds great, let's do it!" We only accept PayPal at this time, which also can handle credit card payments. If you have questions at anytime, please write us using our email contact form and direct questions to "Book Review Inquiries" only. After payment, you should be redirected from Paypal to a page on JFH with directions on where to send your book for review (In the case that it does not redirect you, please email us right away and we'll send you the proper link. Thanks! ).